These clear, discreet information cards provide essential support and safety information for women in abusive situations. They include key contact information for specialist local services and things to consider if planning to leave. Relevant for all women experiencing domestic violence and abuse, including ‘honour’-based violence and forced marriage. 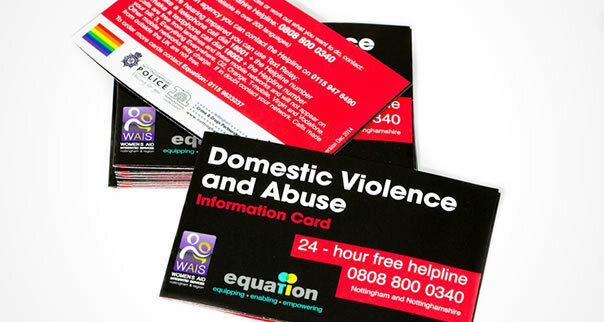 The cards are a useful signposting tool for women experiencing domestic abuse in Nottingham or Nottinghamshire. Always check that a survivor has somewhere safe to keep an information card. Languages available: Arabic, Bengali, Chinese, Farsi, French, Gujerati, Hindi, Kurdish Sorani, Portuguese, Ukrainian, Urdu, Vietnamese. We are currently out of stock in Polish, Lithuanian and Punjabi. Accessible cards: available in braille strips or in large print. Order your resources now using our online order form. 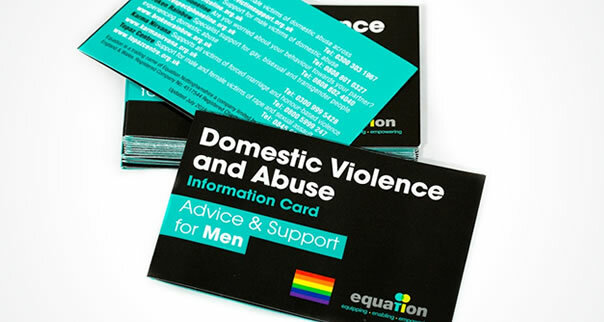 These clear, discreet information cards provide essential support and safety information for men who are surviving domestic abuse, including phone numbers for specialist local support services. They include support options for men surviving ‘honour’-based violence and forced marriage. The cards are a useful signposting tool for men experiencing domestic abuse in Nottingham or Nottinghamshire. 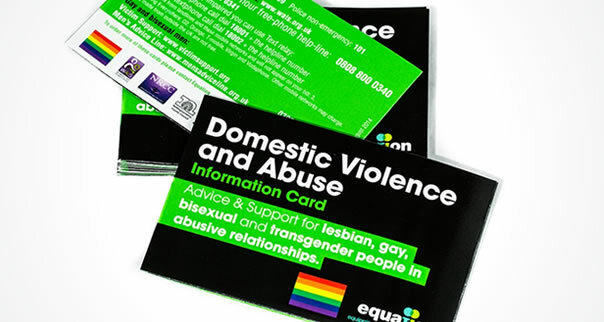 These clear, discreet information cards provide essential support and safety information for lesbian, gay, bisexual and transgender survivors of domestic abuse, including women and men, and survivors experiencing ‘honour’-based violence and forced marriage. The cards are useful as a signposting tool for LGBT survivors of domestic abuse in Nottingham or Nottinghamshire. 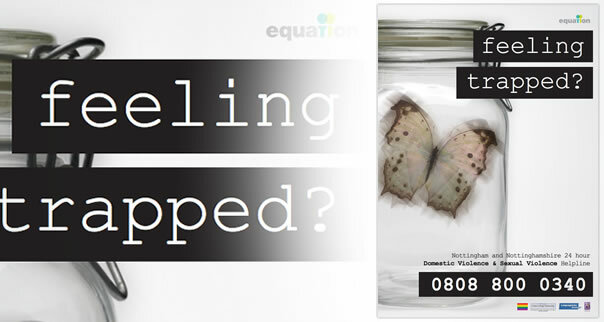 These clear, discreet information cards provide essential support for survivors of sexual violence and abuse, including safety advice and phone numbers for specialist local support services. 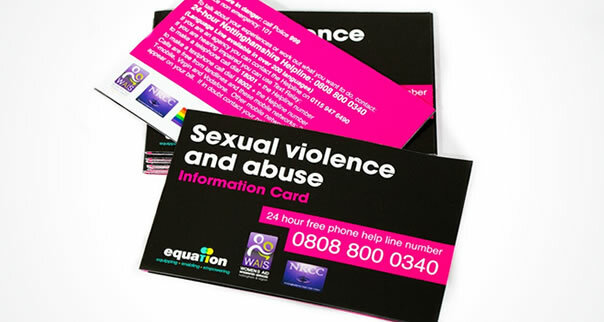 The cards are a useful signposting tool for survivors of sexual violence and abuse in Nottingham or Nottinghamshire. These posters help survivors of domestic abuse to access relevant support and advice. They encourage survivors in Nottingham and Nottinghamshire to access the 24-hour free domestic violence and abuse helpline.